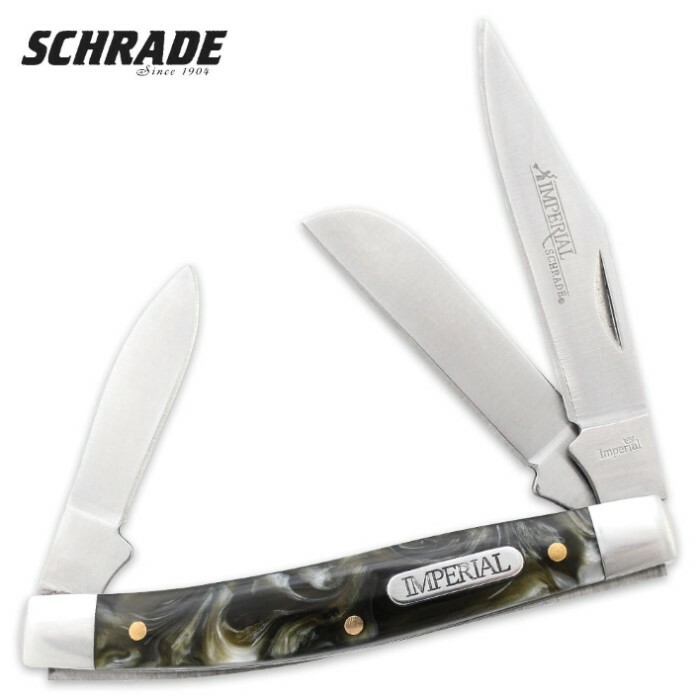 Schrade Imperial Stockman Pocket Knife | BUDK.com - Knives & Swords At The Lowest Prices! The Schrade Imperial Stockman Pocket Knife is an attractive everyday carry pocket knife that will last through years of use and continue to look good. It has 3Cr13MoV stainless steel clip point, sheepsfoot and pen blades with nail pulls. The black and white swirl POM handle features stainless steel bolsters, brass pins and heat treated back springs. Schrade's Imperial markings and accents assure you that you are getting the highest quality in a pocket knife.